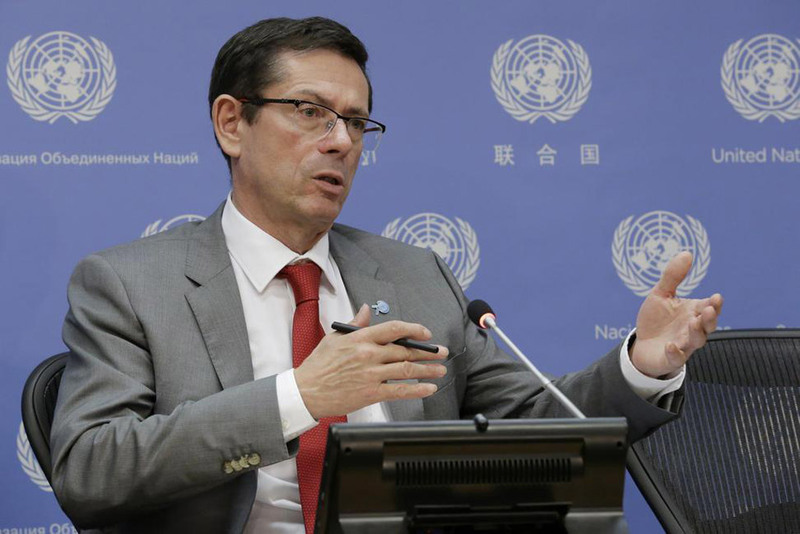 The UN Assistant Secretary-General for Human Rights, Ivan Simonovic, has announced that there has been a 70% decline in countries who uphold the death penalty in the last 40 years; in 1975, 97% of countries executed criminals compared with 27% today. Simonovic made this announcement at the launch of a UN book on recent global trends away from capital punishment, Moving Away from the Death Penalty: Arguments, Trends and Perspectives. Simonovic urged caution in relying absolutely on these statistics as some executions are either incorrectly recorded or not registered at all but he explained that part of the rationale for the new book was in the public interest to contribute to the decline in global capital punishment. Simonovic also drew on studies which suggested there is no correlation between the death penalty and reducing crime rates in that country, which is a large reason for the death penalty still being performed; “there is conclusive evidence that there is a correlation between death penalty and discrimination and unequal treatment against vulnerable groups”. He added that in most cases, people who end up getting executed are poor, belong to vulnerable groups or socially disadvantaged minority groups or have mental disabilities and these people have limited means of defending themselves. But there are several highly complex global issues that the international community demands answers to. Indeed, there has been an increase on people condemned to death in terrorism or drug related offences, both of which have been in the Australian headlines in recent months. UN human rights experts have noted that around 1,000 executions for drug crimes take place worldwide every year. This illustrates the difficulty of balancing public policy and sentiment regarding drugs and terrorism against the individual’s right to life, which is of paramount importance. Simonovic discussed some contentious areas of the debate, including the finality of such a decision, particularly in cases of innocent victims and the advancements of DNA testing and the cultural and religious beliefs in some cultures that are so ingrained that crimes in these countries are viewed upon much more harshly than in other areas of the world. Simonovic also outlined the importance of the judicial system in each country taking responsibility as well, especially with respect to granting the victim the natural right to appeal and to eradicate arbitrary decisions by the Government.